Your (CV) is the primary means of presenting you as a job seeker with a potential employer. But in many cases it is seen that job seekers do not emphasize their cinematography beautifully and accurately. ">As a result, many qualified candidates are not called on Job Interview and are denied the opportunity to prove their qualifications. *Before you make your CV, look at the reality. A borrower does not give a biographical (CV) of more than 30 seconds on average. So it should be short. It is obvious that the information should be presented. To avoid unnecessary or less important information. An inexperienced/newly passed job seeker should not be more than one to two pages. Your resume is the medium of marketing yourself. So it should be interesting. But do not use any kind of colorful paper or colorful ink. ">You can Bold, Italic or Underline to highlight something. Remember, if there is a spelling mistake or lingual/grammatical mistake in your resume, then the potential employer will have a negative connotation about you. It will be revealed that you are not able to do any work properly. So after making a CV, read it manually and show the person who knows the correct English. When you send a resume to apply for a job announcement, try your CV to make it according to the needs of the job (Customize your CV). It is necessary to read the job notification well and research the organization. 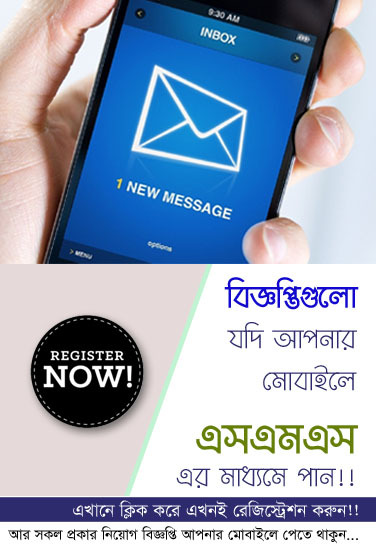 For example, if you know that the employer can appoint anywhere in Bangladesh, you can refer to your CV where you have been located in some places in Bangladesh. ">Or an employer is looking for someone who has to play the role of organizer, in that case if you mention the role of organizer in your student life, your CV employer will get a separate value. Career Summary -> More needs for those with experience. Career objective -> More needs for newly passed job seekers. Title: (Title)Your full name will be in the beginning of the biography. It will be bold and write in a bigger font (avoid nickname). Then there will be your address (you can get the current address where you send a letter), phone number and e-mail address. This part will be at the center of the page, so that it first looks in the eye.Career Summary:This is most applicable for people who have more than 4-5 years of work experience. In this section, you mention the maximum 6-7 lines in the workspace of your previous job experience. Briefly summarize the achievements of your previous experience (if any).Career Objective:This is most applicable for the newly passed job-seekers or the few experienced (1/2 years) job applicants. In this section, you mention the current goal (Immediate goal) in your career and present it in the context of how you can meet the needs of the advertisement or advertised job or organization. Summarize the positive characteristics of the job. It is important to write a Career Objective by matching the job notification or company needs. If you have worked in different positions at different times in the same organization, then specify it separately. ">The most important thing is that you will first mention your most recent experience, followed by a one-on-one experience in the Resume Chronological Order which will end with your first experience.It is best not to mention your very important or short-term experience. But keep in mind that your List of experience does not have much time gap.Education & Training (Educational Qualification & Training)It has been said before that this section should come before the experience section for newly passed or short experience. In the Education section, you will name your degrees and provide the following information. Year of examination and time to publish results if needed. The results / results and if there are significant achievements (Ex: merit list), then they should be mentioned. ">In this case, like Experience, you will mention your most recent degree before and after that the rest mentions the rest.Keep in mind that if the final result of any degree is not yet published, mention that degree as 'Appeared' in the bracket. If you are studying in a course, please mention 'Ongoing'. If your Result is very bad in case of any degree, there is no need to mention any Result. Remember to mention the result of a degree and not to mention the other.If you have participated in a particular training and you think it is helpful to your work, mention it. In this case, the name of the training organization, the topics, the duration of the company will be mentioned. You can give below the training section of the training section. Describe the information that does not fall in the aforementioned parts, but related to the job. Computer skills / Computer Skills. Personal Information / Personal InformationParents, current/permanent addresses, religions, countries where you have traveled, hobbies etc. can be mentioned here.Reference (Reference):Note that you do not mention the names of your close relatives in the reference section. You mention referral to someone who has seen you in your student life or in the career. Must specify the phone numbers, addresses and e-mails (if any) of those whom you refer to. It is usually best to mention the names of the maximum 2-3 as reference. But the most important thing to keep in mind is that you have to tell all those people you have referred to as reference that you mentioned them in your reference as a reference (CV).